We honestly can't think of a more inspiring job than an illustrator's—they get to make their childhood dreams a reality, all the while indulging in the therapeutic act of sketching, drawing, and painting for a fee. 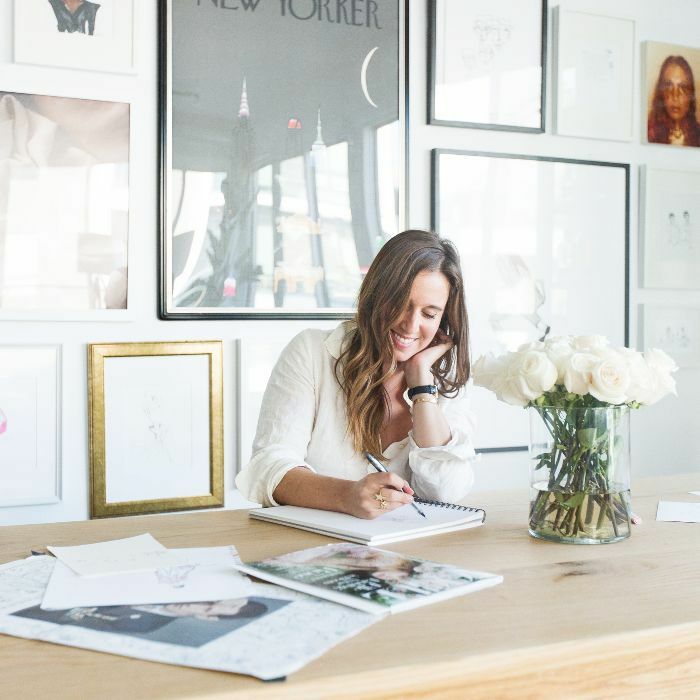 Such is the charmed life of fashion illustrator Carly Kuhn, the hand behind the stunning @thecartorialist Instagram account. True to form, Kuhn's artistic sensibilities extend beyond the page—her Los Angeles apartment is a dreamy realization of her minimalistic line drawings and sketches. "I think the way I approach the design of my home is similar to how I approach my work, both including a sense of spontaneity and my gut feeling," she told MyDomaine. "When I sit down to draw, I don't really plan things out. I just kind of go. I approach my home in a similar way, going off of my feelings about particular pieces and having it be an organic process of how it all comes together." Kuhn moved to this space in L.A.'s Larchmont area about a year and a half ago and was initially attracted to the great lighting. "I work from home and need a lot of light to feel inspired," she shares. While she designed the space over time, adding new pieces that caught her eye, Kuhn also used Hutch, a virtual design service that allows you to imagine and reimagine a space on your phone, "which was amazing for helping me visualize how everything would look together, especially because there are so many ways I can set up my furniture within my large open space." Step inside Carly Kuhn's new Los Angeles abode below.